It’s officially strawberry season here in Wisconsin and I couldn’t be happier because a) I love strawberries, and b) this also means it’s officially summer. ‘Bout time. To celebrate the beginning of strawberry season I decided to try a recipe I had torn out of a magazine years ago and have always been curious about but had been hesitant to try. The reason for the hesitation is because it involves cornmeal, basil, balsamic vinegar, and olive oil. And this is supposed to be a dessert? What?? But I’m adventurous, so I thought what the heck. 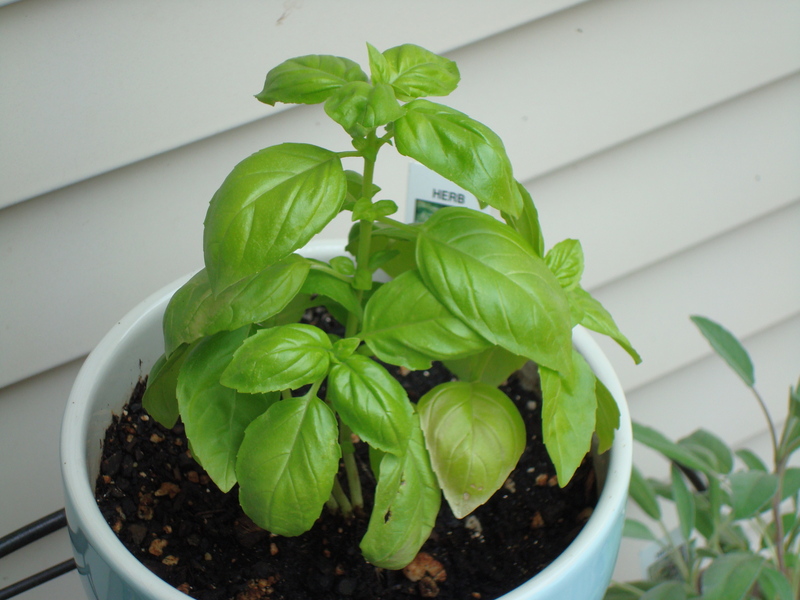 Plus, I have a basil plant that is just begging to be trimmed back. Done. Look how pretty the snips of basil are in the cake batter. And you can see the yellow cornmeal flecks. Lovely. While the cake is in the oven puree the star ingredient with a little sugar and balsamic vinegar. I wasn’t sure what to expect when I bit into the finished product but I knew it was going to be good because it smelled wonderful while it was baking. It reminded me of a more grown-up version of the strawberry shortcake my mom used to make when I was a kid. It was sweet, but not overly-sweet, and slightly savory which gave it a nice dimension. The perfect early summer dessert. Grease and flour one 8×2-inch round cake pan; set aside. In a medium bowl stir together flour, cornmeal, baking powder and salt. Set aside. 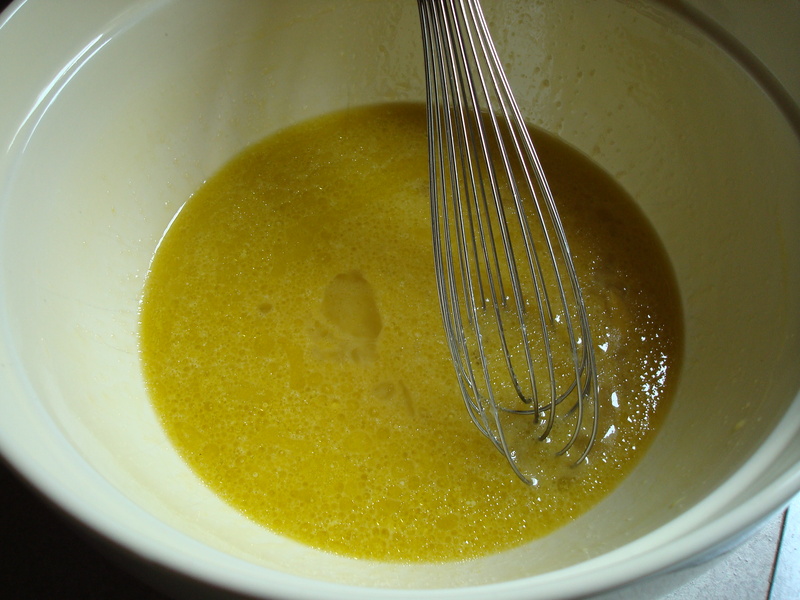 In a large bowl whisk together eggs, granulated sugar, milk, and olive oil. Using a wooden spoon, stir in flour mixture and snipped basil until combined (do not overmix). 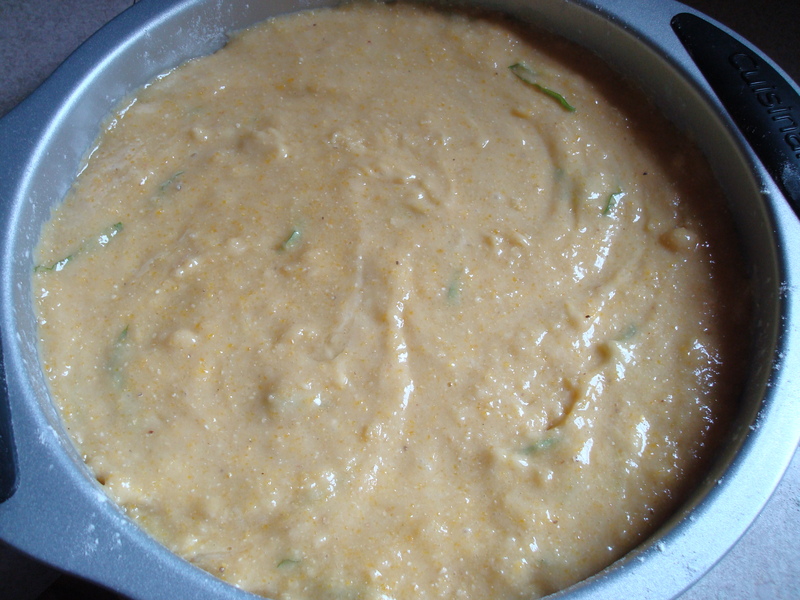 Pour batter into prepared cake pan, spreading evenly. Sprinkle top with coarse sugar. Bake in a 375 degree oven for about 30 minutes or until a toothpick inserted near the center comes out clean. 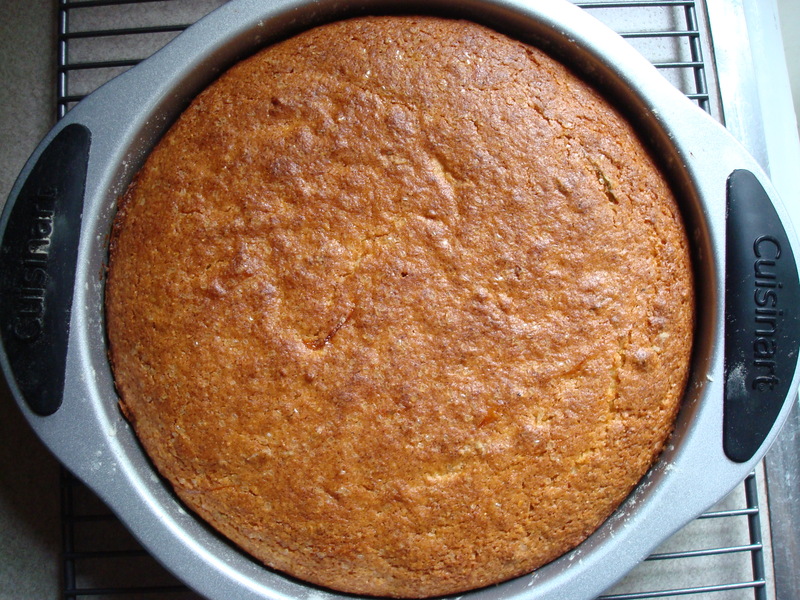 Cool cake in pan on a wire rack for 10 minutes; remove from pan by inverting on a wire rack. Invert again and cool thoroughly, sugar side up, on wire rack. To serve, cut cake into wedges. 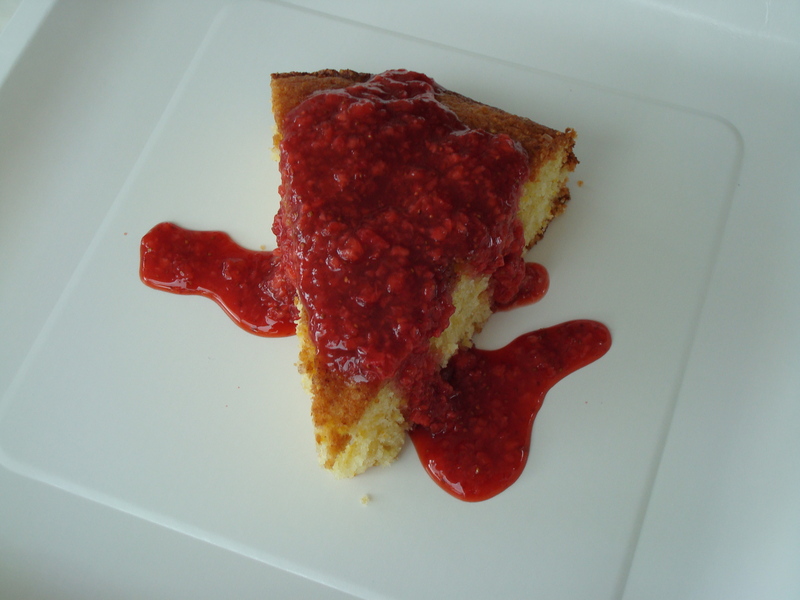 Serve with strawberry sauce (see recipe below). Makes 8 to 10 servings. 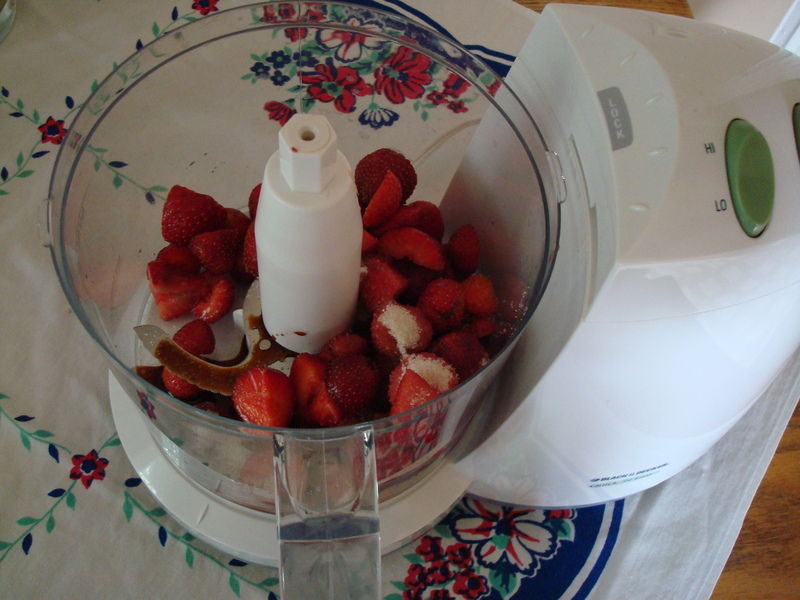 In a blender or food processor combine all ingredients. 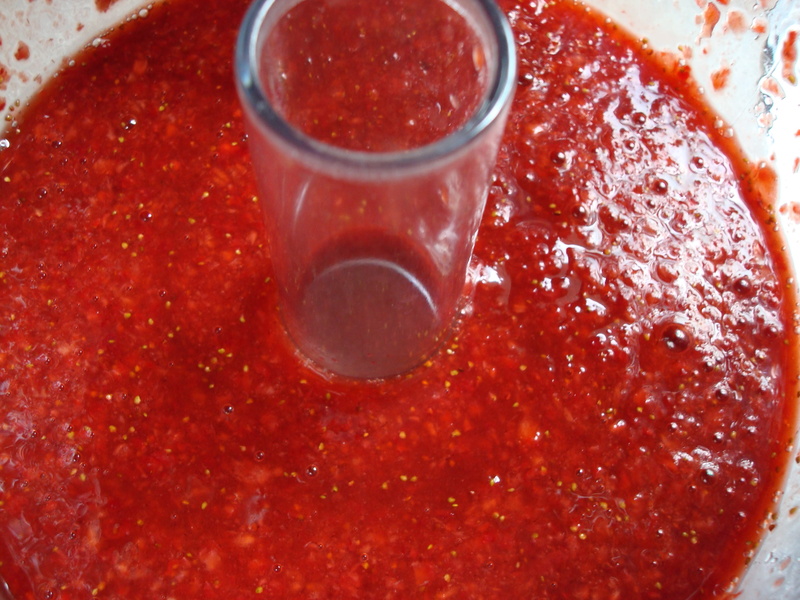 Cover and blend or process until smooth. If desired, stir in 1 tablespoon additional balsamic vinegar to taste. Cover and chill for up to 24 hours. Stir before serving. What a great recipe for those required to be conscious of their….shall we say….good fat intake (i.e. Shayne). 🙂 I think our strawberry season is wrapping here, but maybe I can fine just a few more to try this with.